I recently started using Git as my revision control tool. Impressed by the use of branching and merging, I create and merge a lot of branches. Our company use SVN and other peers were not aware/interested in Git. So I took the initiative to use svn-git. After months of progress I left with so many branches for features, svn, QA-release and quick-fix for released builds. 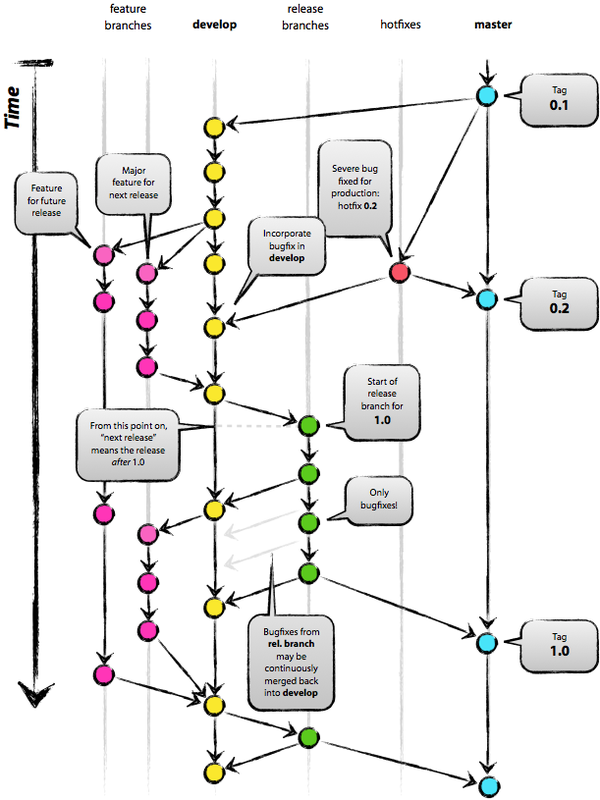 I did a quick search and find a good Git workflow by Vincent Driessen. I found it very useful, and I recommend the same. Not necessary that it should be used with Git only; if you are brave enough you could follow the same with SVN too.